2 Carnivals – in Grenada and Carriacou! 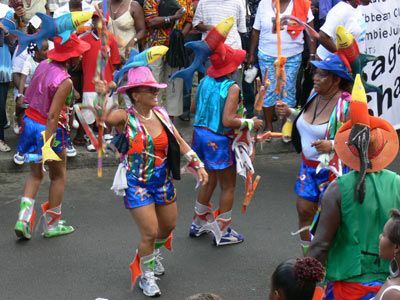 Carriacou’s Carnival is very unique with its Shakespeare Mas, in which brightly dressed Peirrots engage in a battle of wits using only lines from Shakespearean plays. The competitor without a quick reply earns a playful stroke from his opponent’s stick. Carriacou’s Carnival is spectacular in its very unique way even though it entails aspects of Grenada’s Carnival. It is two days of street parades and various competitions among calypsonians and masquerade bands. Call or email us to find out more about these events, arrange transport, buy tickets and to confirm start times!